NJPW broadcaster, Kevin Kelly, hasn’t been too kind on Bullet Club’s Firing Squad. 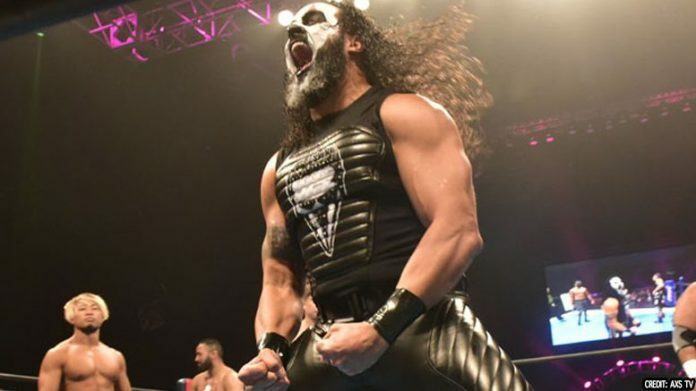 Tama Tonga decided to respond to Kelly’s commentary following today’s NJPW Destruction in Hiroshima event. Tama Tonga, Tanga Loa, and “Bone Soldier” Taiji Ishimori defeated David Finlay, Juice Robinson, and Ryusuke Taguchi today to retain their 6-Man Tag-Team Championships. Tanga Loa and Tama Tonga will challenge the Young Bucks for the IWGP Heavyweight Tag-Team Championships on September 30th in Long Beach. Also in regards to Bullet Club’s Firing Squad, the faction has announced they are recruiting. They asked their followers on Instagram and Twitter to suggest possible new members. Cody will challenge Juice Robinson for the IWGP United States Championship on NJPW’s Long Beach show as well.